This is a beautiful apartment with lots of light, open green view, modern style, situated in a quiet lane of Xuan Dieu Street, Tay Ho - Westlake, Hanoi. 70 sq m, the apartment has a living room, a nice kitchen, a dining room, a bedroom, a bathroom and a balcony. Brand new serviced apartment with 3 bedroom for rent in Trich Sai street, Tay Ho district, Hanoi. Brand new serviced apartment for rent in Trich Sai street, Tay Ho district, Hanoi. The land area is 240 sq m, the construction area is 130 sq.m with 2 bedroom, 2 bathroom, balcony and fully furnished. 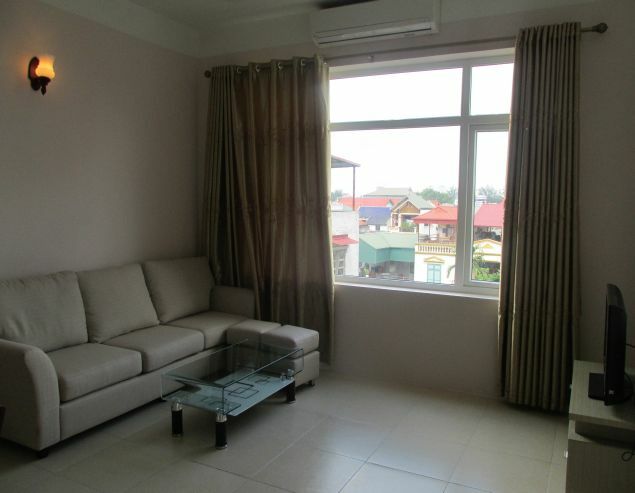 In addition, this serviced apartment has been equipped with new, modern and luxury high-standard living stuffs. Beautiful serviced apartment with West Lake view for rent in Au Co street, Tay Ho district, Hanoi. Beautiful serviced apartment with one bedroom, West Lake view for rent in Au Co street, Tay Ho district, Hanoi. The living area is 95 sqm with 1 bedroom, 1 bathroom, modern design, luxury interior, balcony (overlooking West Lake and Ho Tay Water Park). New full furnished three bedroom Penhouse with huge balcony in Au Co street, Tay Ho district, Hanoi for rent. Total area is 230sq.m. As standard design of Penhouse, this one is built with two storeies. Beautiful studio apartment for rent in Nghi Tam village, Westlake area, Tay Ho, Hanoi. It is located on the 3rd floor of elegant building what face to Westlake, large gara, high speech elevator, security 24/24h. Nice and bright serviced studio apartment for rent on Dang Thai Mai street, Tay Ho district, Hanoi. This apartment has a shiny living area with natural light from the windown, bedroom area containing a double bed, 1 bathroom with shower cabinet, 01 convenient kitchen hook with nice decorations and fully equipped kitchen. A large apartment for rent, Xuan Dieu street, Tay Ho district, with the total area of 150 sqm, composed of a big livingroom area, open kitchen, modern equipped, very bright, fantastic view. 2 serviced apartment for rent in street, Tay Ho district, Hanoi. Construction area is 100 sq m with 2 bedrooms, 2 bathrooms, nice living room, kitchen and balcony. Living space is with well equipped and furnished. 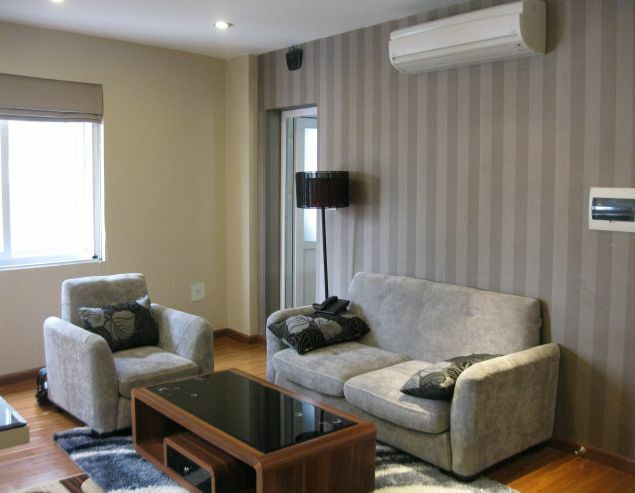 Nice serviced apartment for rent in Xuan Dieu street, Tay Ho district, Hanoi. This apartment has a shiny living room, 1 bedroom with natural light from the windown, 1 bathroom with shower cabinet, 01 convenient kitchen with nice decorations and fully equipped kitchen. Beautiful serviced apartment on the second floor for rent in Tay Ho street, Tay Ho district, Hanoi .Total area is 120 sqm with 2 bedrooms, 2 bathrooms (shower and bathtub) with full furniture. The building has swimming pool, car parking lot, airy living space. The rental fee is $1000/ month.